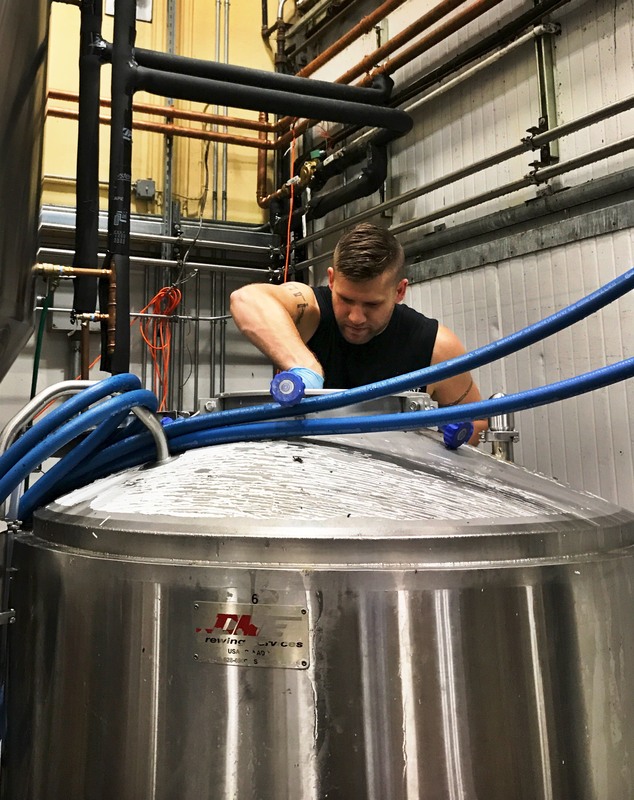 Chris Peterson tweaks his craft beer recipes the same way he works on multimillion-dollar military aircraft: very, very carefully. Peterson is a tech sergeant in the 439th Aircraft Maintenance Squadron at Westover Air Reserve Base in Chicopee. As a technician and avionics expert, it’s his job to ensure that a plane’s communication, navigation, and guidance control systems are running smoothly. Peterson and his fellow Air Reserve technicians often fly with the planes during missions, hopping out onto airstrips around the world to do maintenance while the pilots take breaks. Precision matters to Peterson. 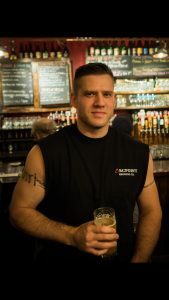 Several years ago, he began homebrewing, and it is hardly surprising that he takes a similar care when fine-tuning his recipes. Once Peterson was brewing more than he could drink, he began naming his beers and sharing with friends. About three years back, Peterson offered a pour of his hazy New England-style pale ale, called Cold Spring, to a good friend and co-worker at the base: Master Sergeant Christopher “CJ” Eldridge. 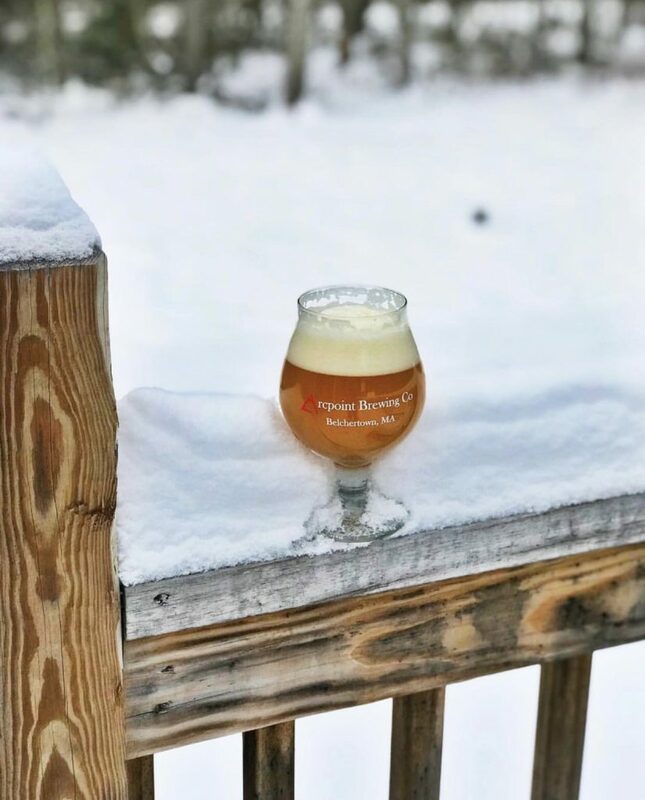 Eldridge says that before he tried Peterson’s pale ale, “I was a Bud Light guy.” That changed when Peterson invited Eldridge to his house and offered him a glass of beer alongside an emptied can from Lawson’s Finest Liquids, a well-loved microbrewery in central Vermont. Eldridge enjoyed the beer, which he assumed was from Lawson’s. When Peterson revealed that the beer was in fact his own homebrew, Eldridge liked it even more. 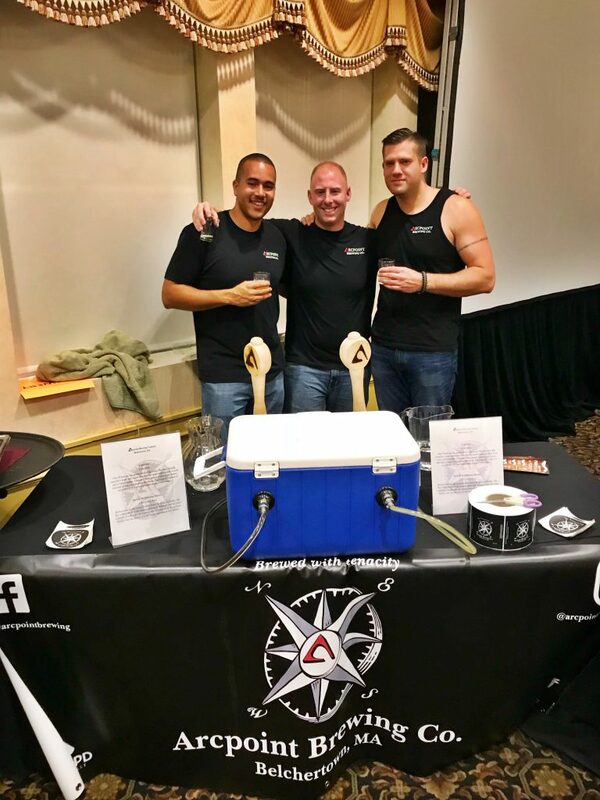 Now the two airmen have partnered up as co-owners of Arcpoint Brewing Company, which held a successful Kickstarter campaign last year that raised $14,489 in 45 days. Peterson is head brewer, assisted by Tom Scott, another colleague at Westover. Eldridge handles the marketing and sales. The three-man brewery is named for the three intersecting arcs used in triangulation. Arcpoint’s recipe book is studded with navigational terms as well: the flagship IPA is called True North, with an imperial-IPA version called Magnetic North. One Galaxy-hopped IPA is called Wanderer; another imperial IPA is called Vagabond. Arcpoint’s summer seasonal is a hoppy blonde called Tailwinds, and Peterson also brews a coffee stout called Reveille. The wheat IPA is called Fiddler’s Green, a reference to naval lore. New recipes are debuting all the time for Peterson’s experimental series, called Variance. 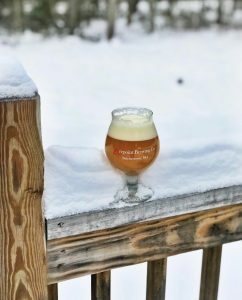 Prior to the Kickstarter, Peterson had met with some success in homebrewing competitions — including a First Place award for one of his pale ales from the Upstate New York Homebrewers Association, near his childhood home of Lake George. This past fall, the Arcpoint crew used Kickstarter to part-source equipment for their new 55-gallon electric brew house in Belchertown (they’ll handle the construction and wiring on their own). While that nano-brewery gets going, Peterson plans to offer bottles and cans of his beer at stores, on draft, and at festivals and markets as frequently as possible. 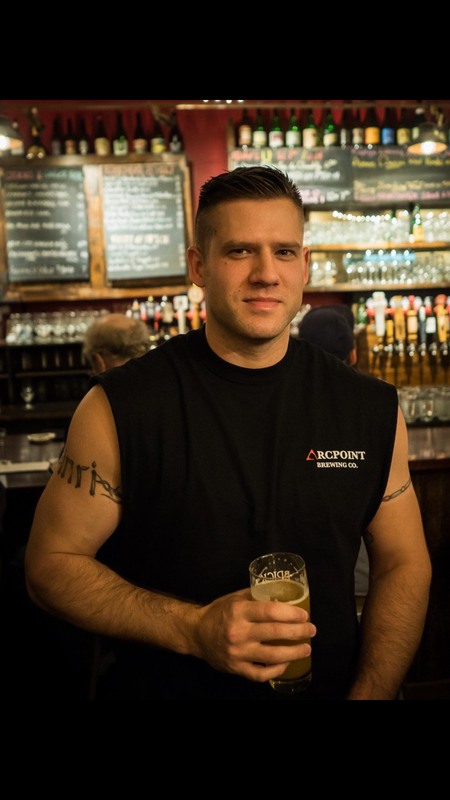 Arcpoint currently contract brews with Brewmasters in Williamsburg, and the beer — when available — can be purchased at many local stores including Cooper’s Corner in Florence, Provisions in Northampton, Cold Spring Wine and Spirits in Belchertown, and at White Eagle Wines and Liquors in Chicopee (for updates on availability, it’s best to follow Arcpoint on Facebook, Twitter, or Instagram). And not too far into the future, Peterson and Eldridge plan to open a larger micro-brewery in Belchertown. The new facility would include a tap house, which the partners plan to staff with veterans. Ideally, they say, Arcpoint will remain 100-percent veteran-owned and operated.